Confess your sinfulness to God. Believe in Jesus. He will forgive and pardon you. Live in obedience and have victory over sin and the devil. Psalm 19:14 Let the words of my mouth, and the meditation of my heart, be acceptable in thy sight, O Lord, my strength and my redeemer. Isaiah 9:6 For unto us a child is born, unto a son is given: and the government shall be upon his shoulder: and his name shall be called Wonderful, Counsellor, The mighty God, The everlasting Father, the Prince of Peace. John 10: 27-29 My sheep hear my voice, and I know them, and they follow me: and I give unto them eternal life; and they shall never perish, neither shall any man pluck them out of my hand. My Father, which gave them me, is greater than all; and no man is able to pluck them out of my Father’s hand. John 14:23 If a man love me, he will keep my words; and my Father will love him, and we will come unto him, and make our abode with him. Romans 6:13, 14 Neither yield ye your members as instruments of unrighteousness unto sin: but yield yourselves unto God, as those that are alive from the dead, and your members as instruments of righteousness unto God. For sin shall not have dominion over you: for ye are not under the law, but under grace. 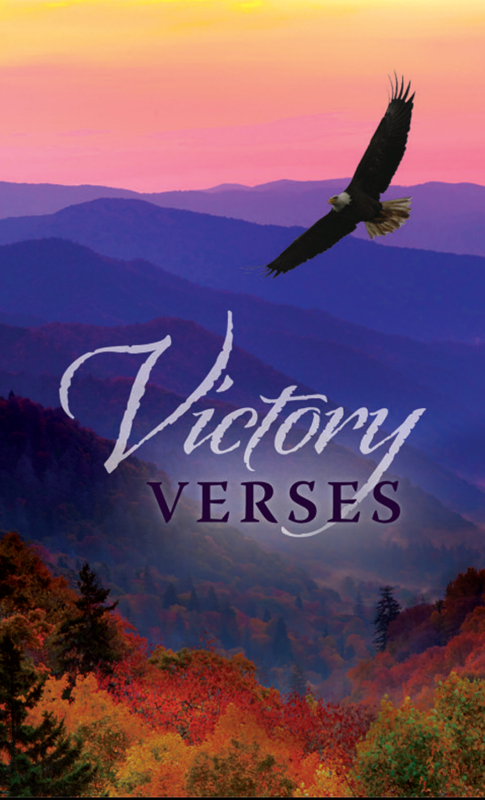 1 Corinthians 15:57, 58 But thanks be to God, which giveth us the victory through our Lord Jesus Christ. Therefore, my beloved brethren, be ye stedfast, unmoveable, always abounding in the work of the Lord, forasmuch as ye know that your labor is not in vain in the Lord. 2 Corinthians 9:8 And God is able to make all grace abound toward you; that ye, always having all sufficiency in all things, may abound to every good work. Philippians 4:6, 7 Be careful for nothing; but in every thing by prayer and supplication with thanksgiving let your requests be made known unto God. And the peace of God, which passeth all understanding, shall keep your hearts and minds through Christ Jesus. 1 Thessalonians 4:16-18 For the Lord himself shall descend from heaven with a shout, with the voice of the archangel, and with the trump of God; and the dead in Christ shall rise first: then we which are alive and remain shall be caught up together with them in the clouds, to meet the Lord in the air; and so shall we ever be with the Lord. Wherefore comfort one another with these words. 2 Thessalonians 4:16, 17 Now our Lord Jesus Christ himself, and God, even our Father, which hath loved us, and hath given us everlasting consolation and good hope through grace, comfort your hearts, and stablish you in every good word and work. 2 Timothy 4:18 And the Lord shall deliver me from every evil work, and will preserve me unto his heavenly kingdom; to whom be glory for ever and ever. Amen. Hebrews 4: 15, 16 For we have not an high priest which cannot be touched with the feeling of our infirmities; but was in all points tempted like as we are, yet without sin. Let us therefore come boldly unto the throne of grace, that we may obtain mercy, and find grace to help in time of need. 2 Peter 1:10 Wherefore the rather, brethren, give diligence to make your calling and election sure: for if ye do these things, ye shall never fall. 1 John 5:4 For whatsoever is born of God overcometh the world; and this is the victory that overcometh the world, even our faith.